The raw material for the entire product range of Stainless Steel Hex Bolts is procured from authentic experts who work as per the set industrial specifications. Our backward integration allows us to produce the exact quality of these Duplex Steel Heavy Hex Bolts, as required by the customers. Our stringent quality controls ensure flawless quality. While looking around, one could easily see that, everything is fixed and bought together just because of these Nickel Hex Cap Screw. The success behind the growing Super Duplex Steel Hex Screws in industry is everything that is developing these days. We offer the same in different grades such as Stainless Steel 304 / 304H / 304L Bolts, Duplex Steel UNS S31803 & UNS S32205 Bolts, Monel 400 / K500 Bolts, Inconel Bolts, Hastelloy C22 Bolts, and Alloy 20 Bolts. We offer a wide gamut of this Stainless Steel Socket Cap Screw that is available in different sizes and dimensions. 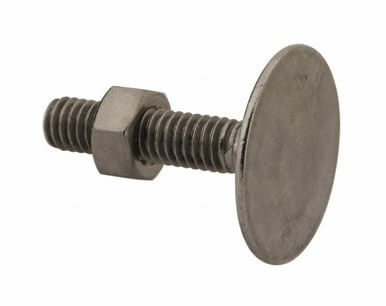 Buy Titanium Bolts in leading market price from us. Also, our complete product range is customized as per the specifications of the clients. A look at today’s automobile industry will let a person understand how these Stainless Steel Countersunk Slotted Screws in industry has given them the light weight, more durable, and trust worthy fasteners making the automobiles of today faster and stronger and still light in weight, than ever before. 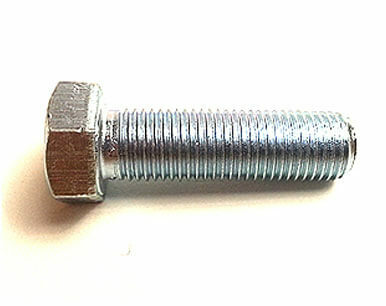 Bolts, Stud Bolts, Hex Head Bolts, Socket Hexagon Head Screw Anchor Bolt, U- Bolts, J Bolts, Mushroom Head Square Neck Bolts, T-Head Bolts, Eye Bolt, Foundation Bolts, Structural Bolts. We are Exporter of Bolt in Worldwide Such as India, Italy, Turkey, Bolivia, Saudi Arabia, Chile, Taiwan, Croatia, Serbia, Greece, Thailand, Afghanistan, Brazil, South Korea, Angola, Canada, France, Gabon, Mexico, Ecuador, Namibia, United States, Pakistan, Kazakhstan, Bahrain, Hungary, Argentina, Estonia, Germany, Gambia, Azerbaijan, South Africa, Qatar, Netherlands, Morocco, Philippines, Iraq, Venezuela, Kenya, Japan, Ireland, Puerto Rico, Belarus, Spain, Mongolia, Peru, Macau, Bhutan, Iran, Oman, Bangladesh, Jordan, Hong Kong, Trinidad & Tobago,Tunisia, Australia, Costa Rica, New Zealand, India, Belgium, Ukraine, Sweden, Malaysia, Austria, United Arab Emirates, Slovakia, Lithuania, Romania, Denmark, Ghana, United Kingdom, Egypt, Russia, Switzerland, Singapore, Zimbabwe, Mexico, Czech Republic, Nigeria, Iran, Lebanon, Libya, Yemen, Tibet, Kuwait, Chile, Sri Lanka, Portugal, Israel, Indonesia, Colombia, Nepal, Poland, Finland, Norway, Bulgaria, Poland, Nigeria, Algeria, China, Vietnam. 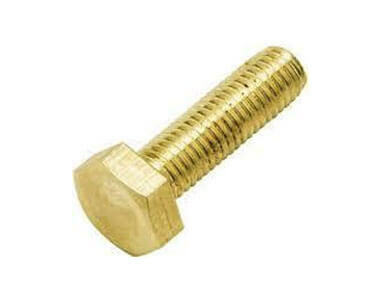 We are Suppliers of Bolts in India Such as Mumbai, Kuwait City, Pimpri-Chinchwad, Bengaluru, Hong Kong, Abu Dhabi, Mexico City, Cairo, Riyadh, Chiyoda, Gurgaon, Kolkata, Ernakulam, Indore, Los Angeles, Dallas, Vadodara, Baroda, Houston, Navi Mumbai, Milan, Faridabad, Bhopal, Port-of-Spain, Rio de Janeiro, Ulsan, Gimhae-si, Manama, Moscow, Jakarta, Ranchi, Chandigarh, Ahmedabad, Aberdeen, Lagos, Brisbane, Tehran, Ludhiana, Mumbai, La Victoria, Rajkot, Noida, Seoul, Chennai, Montreal, Ahvaz, Kuala Lumpur, Singapore, Kanpur, Sydney, Perth, Edmonton, Al Jubail, Hyderabad, Bogota, Haryana, Coimbatore, Karachi, Dubai, Granada, Thane, Pune, Geoje-si, Hanoi, Jeddah, Nashik, Al Khobar, Vung Tau, Bangkok, Nagpur, Muscat, Caracas, Istanbul, Lahore, Visakhapatnam, Jamshedpur, Toronto, Surat, Madrid, Atyrau, Calgary, Howrah, Dammam, Melbourne, Algiers, Secunderabad, Colombo, Busan, Doha, Santiago, Courbevoie, Petaling Jaya, Sharjah, New York, New Delhi, Ho Chi Minh City, Ankara, London, Jaipur, Thiruvananthapuram.